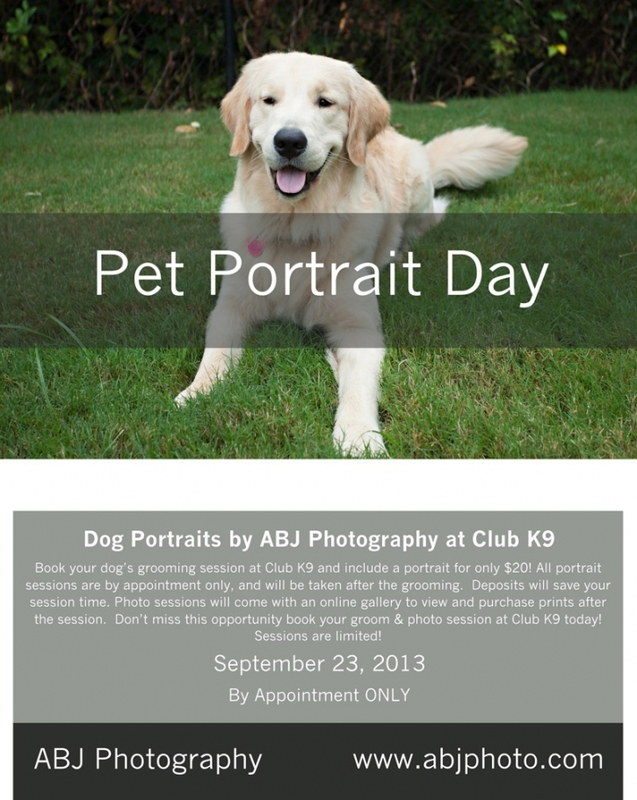 Dog Portrait Day at Club K9 in Roswell! Make your appointment today for September 23rd. Get your pup groomed at Club K9 and for an additional $20.00 get a portrait made! Limited spaces… so book it soon! Contact club k9 770-977-9595 today!